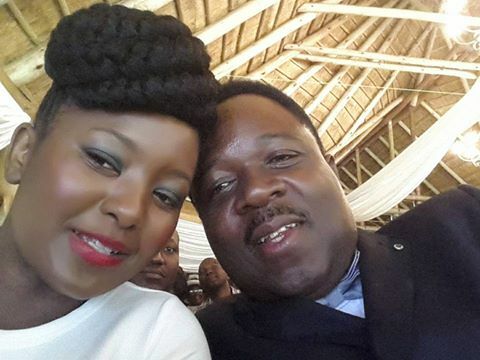 A prominent Bulawayo businessman Sonny Phiri has congratulated his wife the former Miss Zimbabwe Lorraine Maphala Phiri for landing a role to act in the Ziyanda Film . Maphala Phiri landed a role to act together with the likes of Katleko Dankie and Luthuli Dlamini. "I would like to congratulate you my lovely wife Lorraine Maphala Phiri for landing a role to act in the Ziyanda film with the likes of Katleko Dankie and Luthuli Dlamini," wrote Phiri on his wall on Facebook. "Always the hard way ....but the long hours you spent working through the script have enabled you to get the role .....you did it at Miss Malaika, Miss Zimbabwe and Miss World and won .....Now you are an actress on the Big Screen. If God be with you no one can be against you. You are are always a winner undisputed."